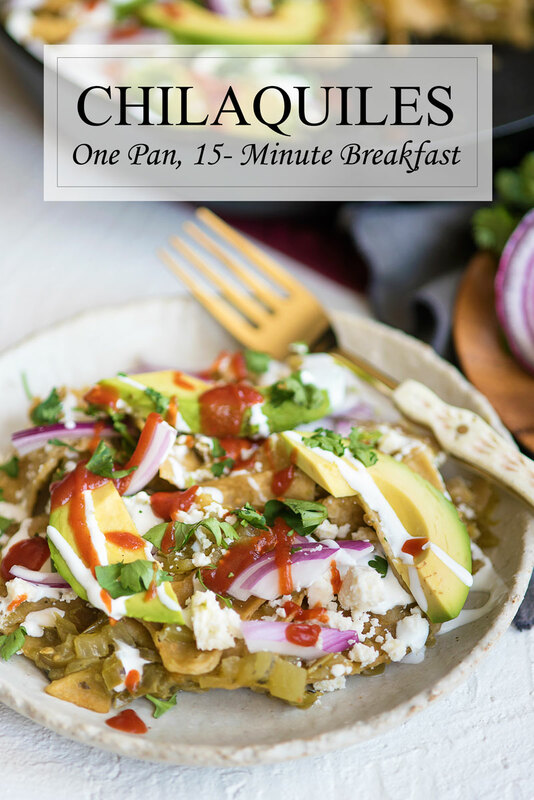 How to make Chilaquiles Verdes in just 15 minutes with ONE PAN. This traditional Mexican dish will be your new favorite breakfast recipe. First things first. Let’s learn how to pronounce your new favorite breakfast food. Say it with me, “Chee-la-key-lays”. Easy peasy. Chilaquiles are the bomb. Fried tortillas, simmered in salsa and topped with all things good – chiles, crema, cheese, and avocado. Om nom nom. It’s comfort food, but with a bit of heat and so much flavor! Making chilaquiles from scratch is no joke. There are frying and chopping and simmering and a whole bunch of work involved. This easy version tastes just like the real thing and it will only take you 15 minutes – start to finish. It’s the “I don’t want to spend three hours making breakfast” version of this traditional Mexican food. Here’s how I made things easier. 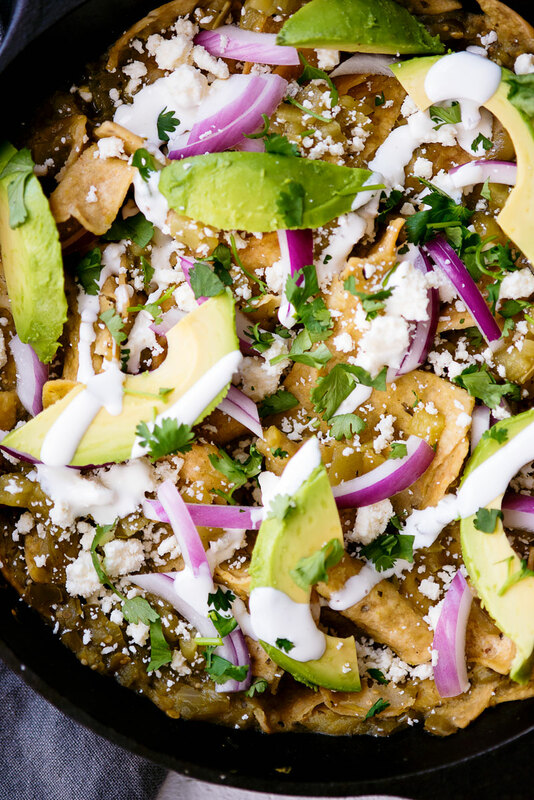 Traditional chilaquiles are made by frying stale corn tortillas in oil. I hate frying things, so starting with store-bought tortilla chips is a no-brainer. Then there’s making the sauce from scratch. So much chopping and dicing and simmering. So many dishes. That’s where the LA VICTORIA brand is a lifesaver. 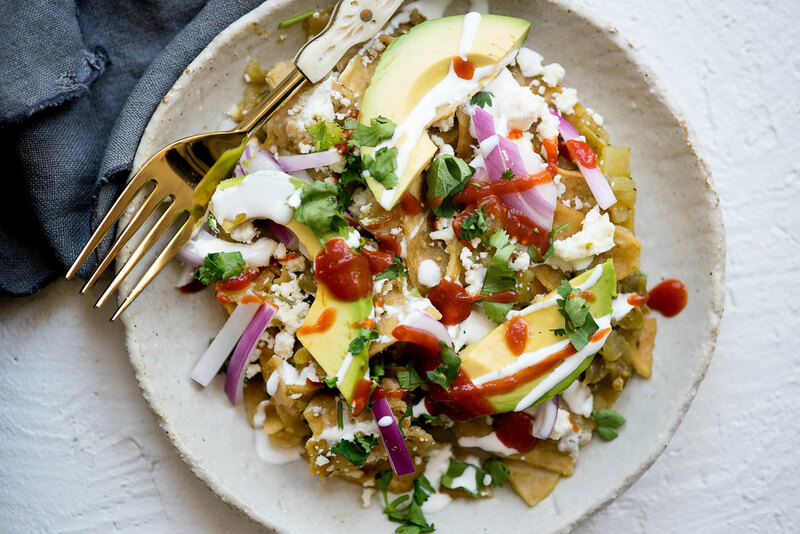 Their Thick’N Chunky Salsa Verde is the perfect sauce for Chilaquiles. It’s so fresh-tasting you’d never guess it comes from a jar! Add in some of their Fire Roasted Diced Green Chiles for some heat and breakfast is served. All it takes is one pan. Depending on how adventurous you are on the spicy scale, you can also add La Victoria’s Salsa Brava. This is the original hot sauce that started everything 100 years ago in 1917. 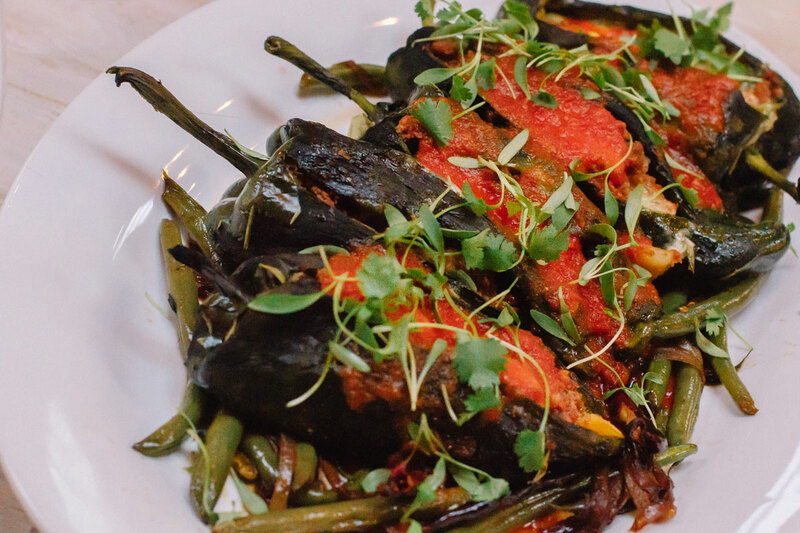 It’s the perfect blend of jalapeños and red California chile peppers. I can only handle a few drops, but Pat puts it on pretty much everything. Speaking of 100 years, La Victoria is celebrating its 100th year anniversary and San Francisco got in on the celebration! 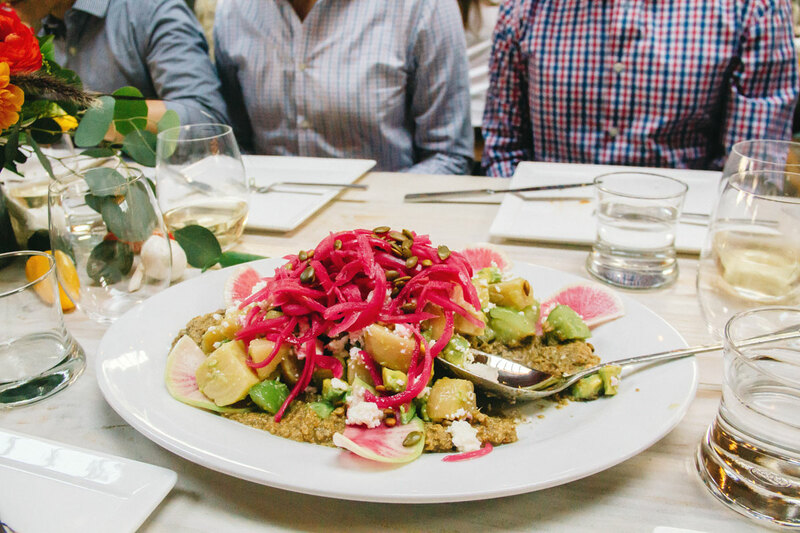 They hosted a dinner featuring cuisine from Chef Gustavo Romero of Calavera (talk about starstruck!). There was also festive music from La Gente and an amazing art show featuring five San Francisco-based artists. 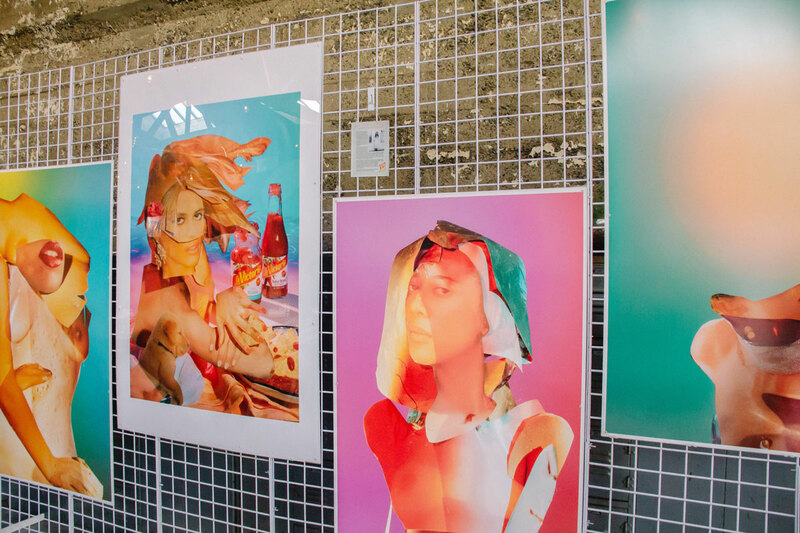 Each created an original piece of art based on the theme “Modern, West Coast Lifestyle” with a La Victoria-inspired twist. The pieces were absolutely incredible! But seriously, how gorgeous is this food!? The entire event was ah-mazing. 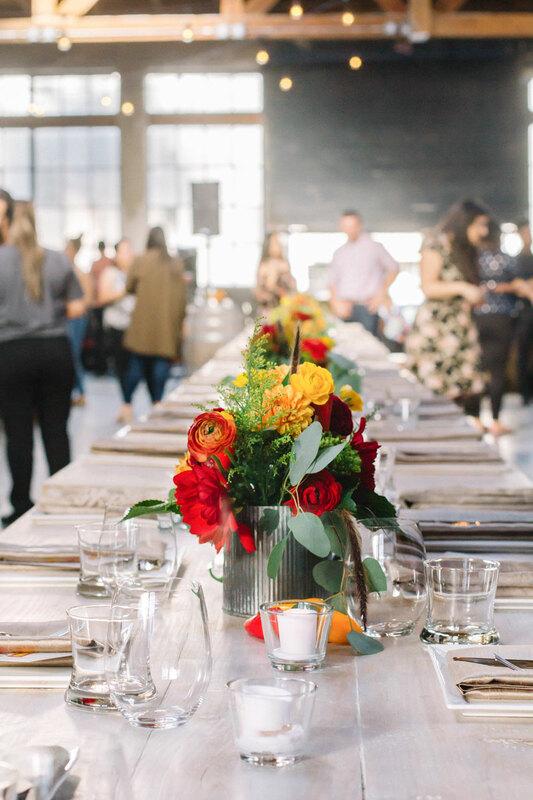 The event was the perfect mix of culture, food, art and music – all of my favorite things! Thanks so much to La Victoria for letting me get in on the celebration. Preheat oven to 300° Fahrenheit. Pour salsa verde and chicken broth into a large oven safe skillet. Bring to a simmer on medium heat. Add tortilla chips and stir until coated. Cover skillet with aluminum foil and transfer to oven. Cook for 5 minutes. Remove foil, add green chiles, crumbled cheese, red onion, avocado, hot sauce and cilantro. Serve immediately. Crema Mexicana is a cultured sour cream made with milk. If you can’t find it at your local ethnic foods store, sour cream will work just fine! Queso anejo is a firm Mexican cheese made from goat or cow’s milk. It’s dry and salty and not quite as tangy as feta, but feta will still work if you can’t get your hands on the real thing. 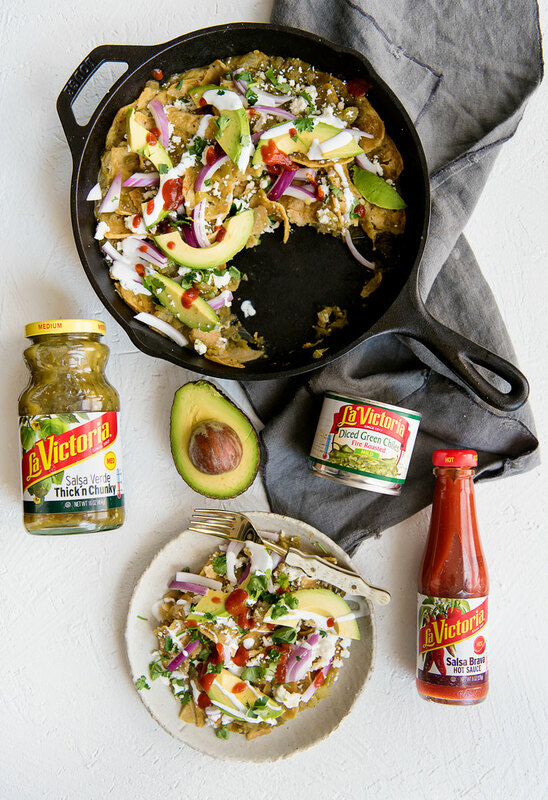 Thanks so much to LA VICTORIA for partnering with me to share this easy lemon-infused recipe! Wondering why I do sponsored posts? Read more here. 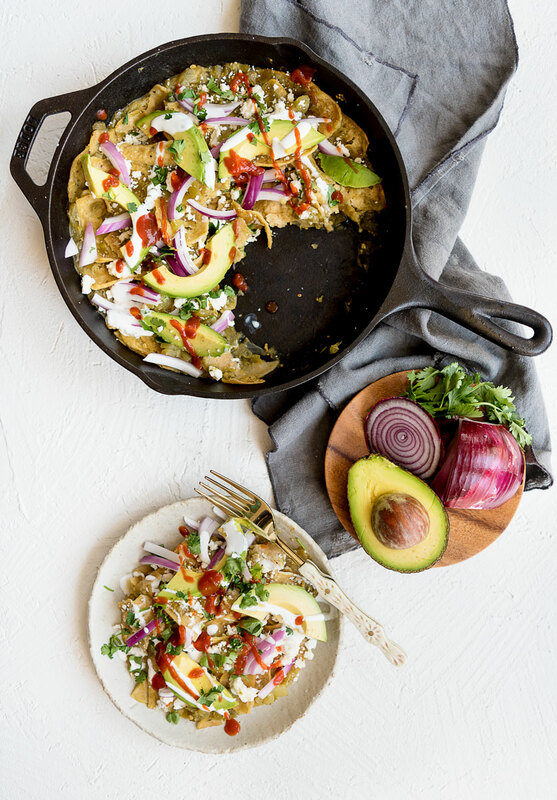 I’ve always been a sucker for chilaquiles!! Awesome! They are one of my favorites too! I’m definitely trying this soon – We go through loads of this of salsa verde and love it! 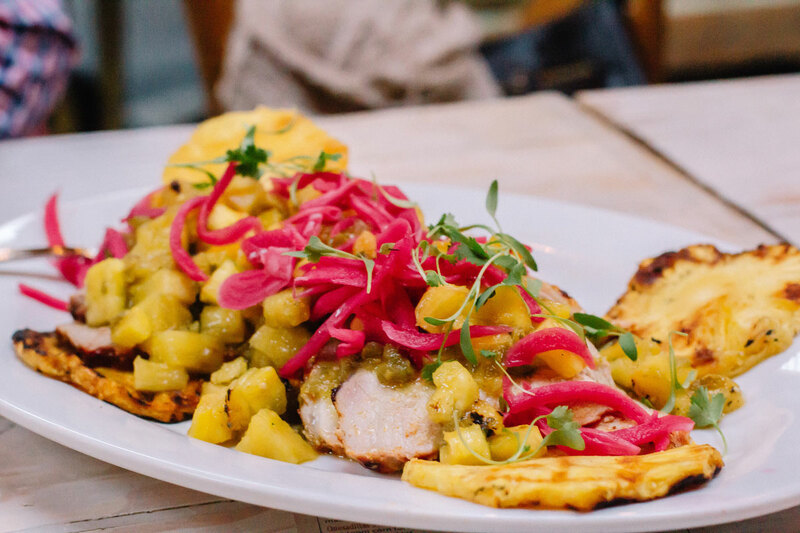 This is definitely the perfect use for salsa verde! 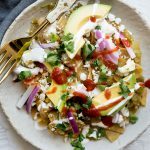 I love chilaquiles and especially love your easier way to prepare them. Thanks! I’m all about halfway homemade hacks! I am literally drooling looking at these pictures! Wish I was having it for breakfast today! I wish that too haha!